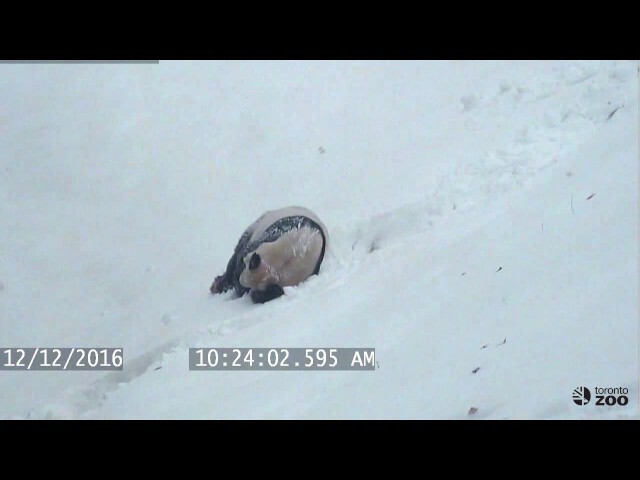 During the snowfall, cameras caught giant panda Da Mao ‘bear-bogganing’ in his outdoor exhibit. Perhaps he’s discovered a new winter sport? (Note: There is no sound in the video). Next postCat: It’s Better For You To Sleep Now!